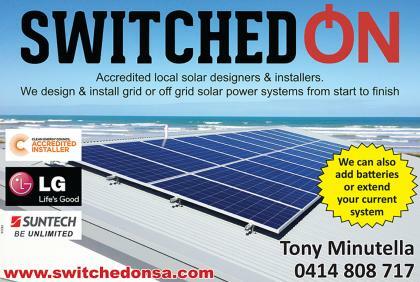 Accredited solar designers and installers, installing your system from start to finish. Specialists in grid connect and stand alone solar systems. 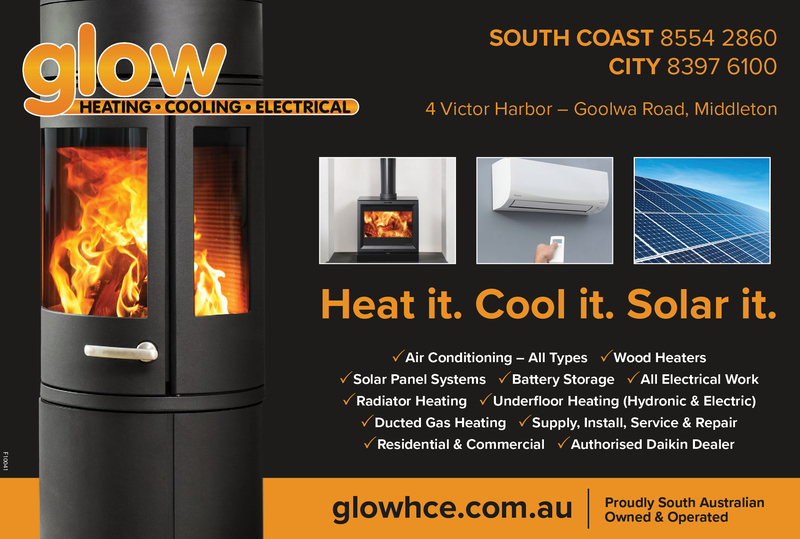 Laser Electrical Goolwa provides a wide range of electrical, air conditioning and communication services on the Southern Fleurieu covering the Goolwa, Middleton, Port Elliot and Victor Harbor area. DS & R Electrical in Goolwa joined the Laser Electrical Group in July 2013. We design a solar system for you based on your requirements. We offer a free on-site consultation. We don’t sell over the telephone as we believe it is important to see your house, measure your roof, discuss your needs and answer any questions. We only use quality panels, inverters and electrical components so you can be sure your system will last. 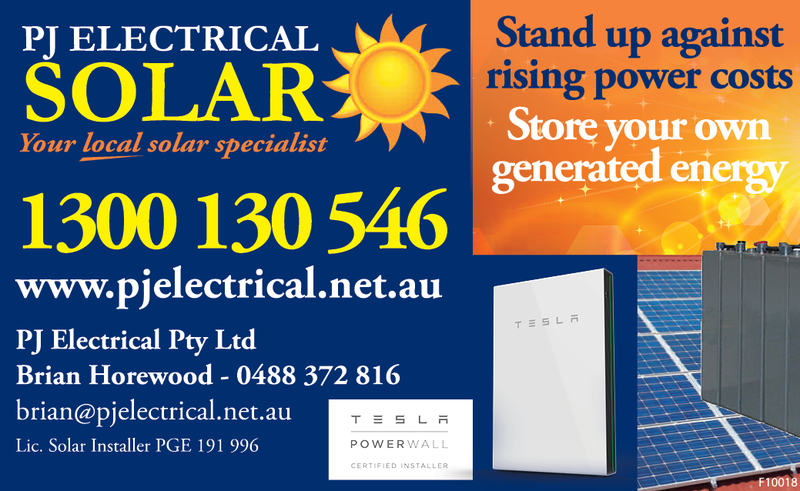 Solahart South Coast & Hills are your local experts in any thing to do with solar. With many years of experience as well as knowledge of the local area, Debbie & Malcolm are able to advise and assist customers in making the right choice for their specific requirements. Chris Dutton has been in the electrical trade for all of his working life and he is a third generation electrician. 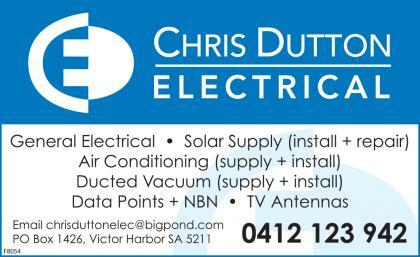 Chris Dutton Electrical is licensed and insured. Based in Victor Harbor, Chris Dutton services the entire Fleurieu Peninsula including Goolwa, Port Elliot, Yankalilla, Aldinga, Willunga, Strathalbyn, Victor Harbor, Mount Compass, Myponga and all places in between. Give him a call today for a quote.